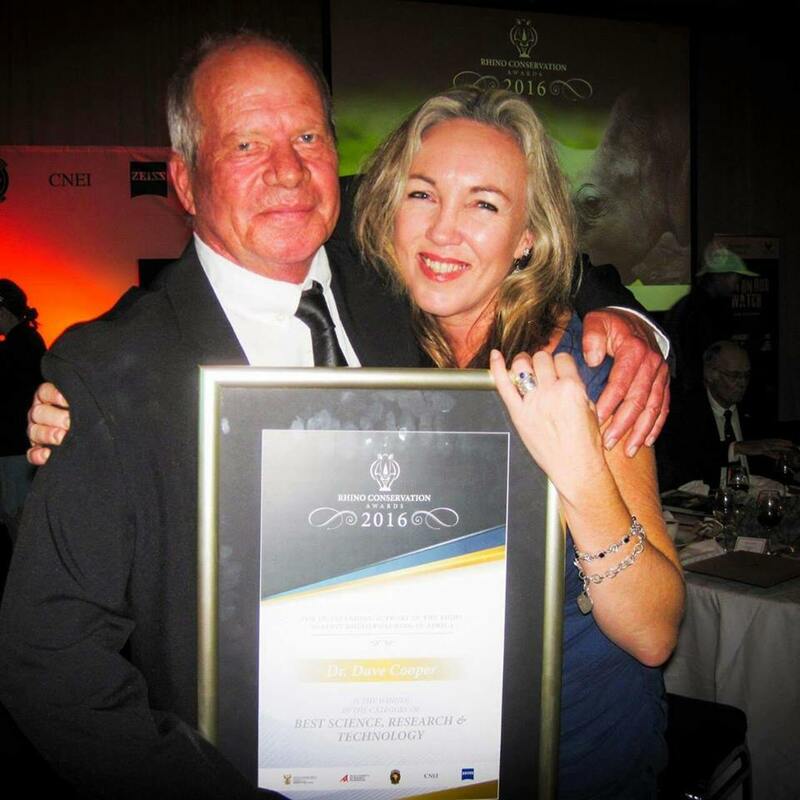 Dr. Dave Cooper wins at 2016 Rhino Conservation Awards! Dr Dave Cooper, one of the very talented Rhinos Without Borders veterinarians, was recently awarded the prestigious Rhino Conservation Award 2016 for Best Science, Research & Technology! Dr. Dave Cooper qualified as a veterinarian in 1981 and finally realised his ambition to work exclusively with wildlife in 1993 when he joined Natal Parks Board – now known as Ezemvelo KZN Wildlife. He has dedicated his life to the nurture, care, and management of wildlife and is the sole vet at EKZNW responsible for all provincial parks in KZN. Dave and his team are called on to respond to each poaching incident, attending to injured and orphaned rhino and processing fresh crime scenes, completing forensic reports and collecting DNA samples. Dr Dave is regarded as one of the leading experts in rhino immobilisation, capture and transport, and been involved in Rhinos Without Borders from the very beginning. He has also been involved in the relocation of over 150 black rhino to nine different localities as part of the WWF Black Rhino Range Expansion Project. Congratulations Dave! We are so proud to have as part of our team!